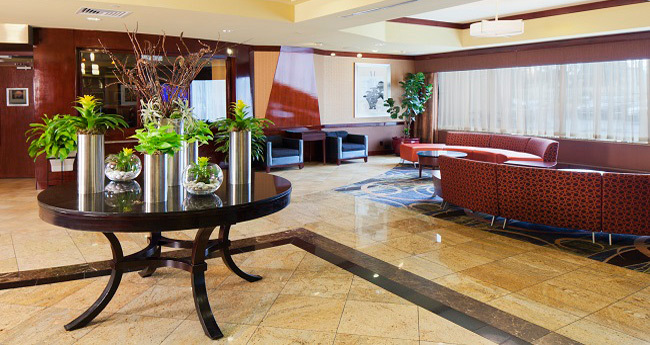 Radisson Hotel JFK Airport aims to make your stay in NYC as pleasant as possible by providing thoughtful services like underground valet parking, on-site car rentals and a free 24-hour airport shuttle. Ask our concierge and tour desk staff for help obtaining tickets to area shows and attractions, or plan your own itinerary in our business center, open 24 hours. If you want to stick around the hotel, feel the tension melt away in our sauna or go for a refreshing jog in our modern fitness center.